Talking STRANGER THINGS with NOTES FROM THE UPSIDE DOWN Author Guy Adams on After Hours AM/America’s Most Haunted Radio Tide you over to Season Two! On a fan frenzy edition of After Hours AM/America’s Most Haunted Radio — Thursdays 9-11pE with hosts Joel Sturgis and Eric Olsen — we analyze Netflix phenomenon Stranger Things with Guy Adams, author of Notes From the Upside Down: An Unofficial Guide to Stranger Things. We talk with Guy at 10pE; at 9pE, Joel and Eric review the week’s most edifying paranormal news from the America’s Most Haunted Twitter feed. Stranger Things Season Two is on its way to Netflix — finally — on October 27. The first season of “Stranger Things” was released in July 2016, and within a month it became the third most-watched season of Netflix original content of all time. Set in the ’80s Indiana, a mysterious girl named Eleven shows up and the search is on for a little boy named Will who has vanished into thin air. What happened to him and the identity of Eleven are the main themes of the first season of a show that continues to dominate pop culture — from star treatment for the young actors, to fans picking over every frame of the Season Two trailer, to intricate theories about what’s to come — as viewers not-so-patiently wait for the next season to be released. Fortunately, Guy Adams’ extraordinarily informative and cheeky Notes From the Upside Down: An Unofficial Guide to Stranger Things is here to make the wait, if not shorter, then at least far more entertaining. Jump inside the world of Stranger Things, from the origins of the creepy premise and (endless) child actor auditions, to how the mind-bending music was composed. Author Guy Adams illustrates how the Duffer Brothers wove techniques and references from all the best thriller, horror, and paranormal entertainment into the now-iconic series. Notes from the Upside Down shares all the subtle references to media like The Twilight Zone, Knight Rider, Jaws, Carl Sagan, and many, many more that you might have missed. If you’ve ever wondered why Spielberg is such a huge influence, which Stephen King books you need to read, or how State Trooper David O’Bannon earned his name, then this book is for you. 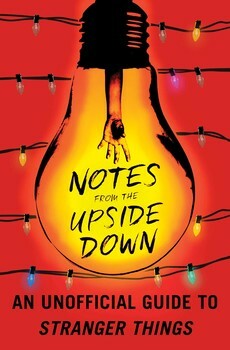 Much like the show, Notes from the Upside Down is a love letter to 1980’s culture, from an author who grew up during the time and never really let it go. Guy Adams lives in Spain, surrounded by rescue animals. Having spent over ten years working as a professional actor and comedian, eventually he decided he’d like to eat regularly, so he switched careers and became a full-time writer. Against all odds he managed to stay busy and since then he has written over twenty books, from bestselling humor title THE RULES OF MODERN POLICING (1973 Edition) to novels for BBC Books’ TORCHWOOD range, and brand new adventures for Sherlock Holmes in THE BREATH OF GOD and THE ARMY OF DR MOREAU. 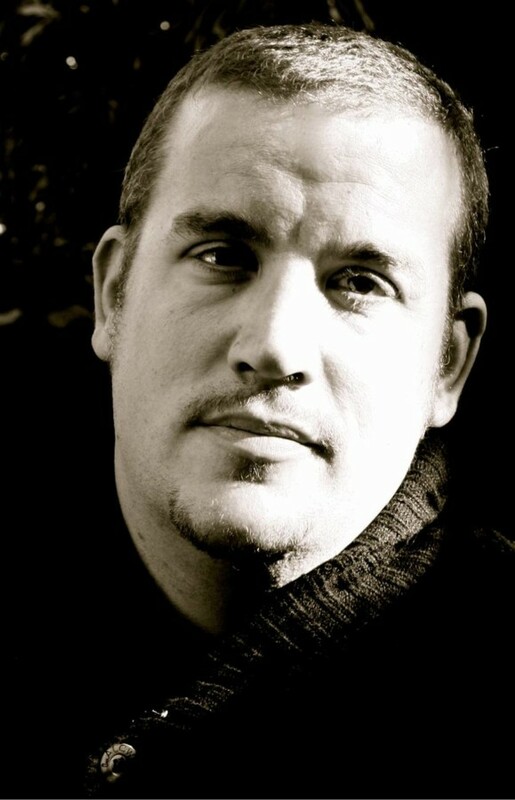 He is the author of THE WORLD HOUSE novels, the DEADBEAT series and the weird westerns THE GOOD, THE BAD AND THE INFERNAL and ONCE UPON A TIME IN HELL. His most recent title Notes from the Upside Down. He also writes comics, including THE ENGINE from Madefire, the creator-owned GOLDTIGER and the forthcoming ULYSSES SWEET: MANIAC FOR HIRE from 2000AD. THE CLOWN SERVICE, his new series from Del Rey UK, mixes espionage with horror and fantasy.